travel with your pet! Pet Friendly Palm Beach ! 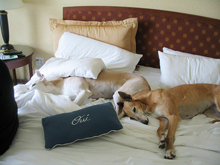 Pet Friendly Hotels in Palm Beach Florida! Want a quick list of pet friendly hotels? Do a search on my favorite, Trip Advisor, already filtered for Palm Beach, Florida and petfriendly: here is the link. My strawberry hand-picked selection is below! Brazilian Court Hotel - BOOK IT! 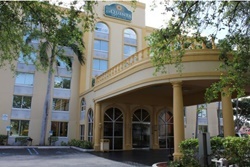 $$$ Luxury, full service hotel near A1A at FL 704, this pet friendly hotel has elegant Spanish Colonial architecture and lush, tropical courtyards and fountains where you will enjoy the warm ocean breezes. This hotel is a historic landmark infused with Roaring '20s glamour, yet with boutique intimacy; the private, 80-room enclave is the classic Palm Beach luxury getaway — bringing together stunning, high-style accommodations and impeccable service for an unforgettable experience. Grandview Gardens Bed and Breakfast - BOOK IT! 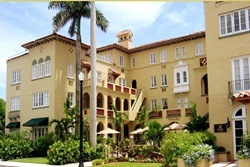 $$ A boutique resort nestled in a tropical garden paradise...Nestled in a tropical garden on Howard Park across from the West Palm Beach Armory Art Center, this historic 1925 property has been carefully restored to reflect the original Spanish Mediterranean architecture inspired by many famous architects in South Florida over the last century. Easily walkable to many local attractions. 2 rooms which are pet friendly (for pets under 40 lbs). There is a $ 10 per night charge for dogs. Read pet policy. 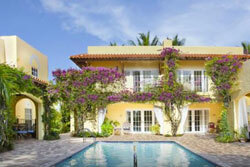 Palm Beach Hibiscus House - BOOK IT! 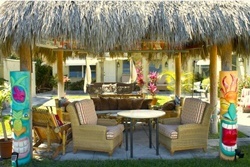 Palm Beach Hibiscus Bed and Breakfast - BOOK IT! 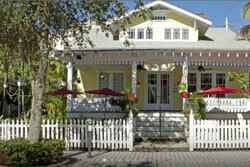 $$ A charming boutique Bed and Breakfast with a Key West style ambiance. 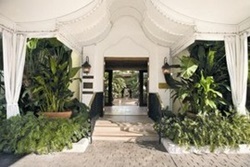 A hidden tropical oasis offering elegant room accommodations in the heart of downtown West Palm Beach. Conveniently located between City Place & Clematis Street, a short stroll to movie theaters, restaurants, nightclubs, shopping, art galleries, & specialty stores. Also, close to Palm Beach Convention Center, The Kravis Center, Norton Museum, prestigious Worth Avenue and the sandy shores of immaculate Palm Beach. Two pet friendly rooms. Bradley Park Hotel - BOOK IT! 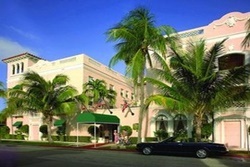 $$ Midscale, near A1A at FL 704, traditional rooms on a historic property with an Italian restaurant and gourmet market. Experience the quintessential Palm Beach hotel, where classic style meets contemporary luxury just steps from the beach. Framed by Mediterranean architecture, majestic palms, lush gardens and a tranquil courtyard, The Bradley Park Hotel is the essence of 1920’s glamour and a true Palm Beach landmark. Beautifully restored to our original splendor yet re imagined with a modern sensibility, we invite you to come live the legend. Four Seasons Resort - BOOK IT! 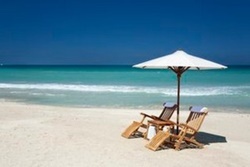 $$$$ Luxury, high-end oceanfront hotel with a private beach and a full-service spa, along with upscale Italian dining. Immerse yourself in a chic and classic Florida resort on Palm Beach’s most beautiful, expansive beach, where your tropical escape can include equal parts relaxation and excitement. Exclusive packages and special offers mean now is the perfect time to make your vacation dreams a reality. Pets under 20 pounds allowed for a fee of $100, 2 pets/room max. Chesterfield Hotel - BOOK IT! $$$ Upscale, full-service hotel, 3 blocks from beach; Surrounded by palm-lined boulevards, we are just moments from Worth Avenue and white sandy beaches. Experience our exceptional hospitality, renowned traditional High Tea, old-world charm and beautiful, individually designed bedrooms and suites. Our legendary Leopard Lounge serves delicious international cuisine, creative cocktails and live music every night of the week. Tideline Ocean Resort & Spa - BOOK IT! $$$ An ambience of rest, relaxation and romance surrounds the Tideline Ocean Resort & Spa. The dramatic sunrise views over the Atlantic Ocean are a tonic to the fast-paced world that swirls around you, and the refreshing breeze at sunset will refresh guests during an evening of open air dining. At Tideline, we create a once-in-a-lifetime experience that gives guests the opportunity to make lasting memories. Up tp 2 dogs welcome for a $25/dog per night fee, up to 25 pounds. Pets may not be left alone. Hotel Paradise Singer Island - BOOK IT! $$ Nestled between the Atlantic Ocean and the tranquil Intracoastal Waterway, the Singer Island Hotel Paradise Cottages formerly Patio Island Resort and Cottages is a Singer Island Resort Hotel and Motel located in northern Palm Beach County, close by Roger Dean Stadium. Hotel rooms, studios, and 1 BR suites, Hotel rooms. Pet fee of $25 per night ($50 min, $100 max) per pet per night, 2nd pet discounted; studios and 1 BRs- $100 fee, 2nd pet discounted. $ Enjoy the best the shore has to offer at our cozy hotel, conveniently located just six miles from the beach and close to the airport, from which we have a free shuttle. Whether traveling for work or leisure, our hotel’s well-kept suites feature flat-panel TVs with 30 channels of HD programming and easy plug-and-play access that makes it simple to connect electronics. Enjoy a free Bright Side Breakfast®, including unlimited coffee and juice, fresh fruit, waffles, muffins, and more. Workout in the fitness center, conduct meetings in the business center, and stay connected with free Wi-Fi. After a long day, relax around the outdoor swimming pool. Our hotel welcomes pets. No deposit or pet fee, 2 domestic pets (dogs or cats) per room. Days Inn - BOOK IT! 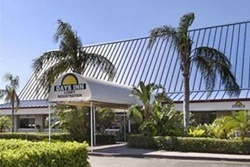 Conveniently located off I-95 near The Ballpark of the Palm Beaches, our Days Inn West Palm Beach hotel offers great value. We are within easy reach of Rapids Water Park and popular attractions in the area. Pets allowed for $30/pet per night and a $50 sanitation fee, if applicable.